Found at last! 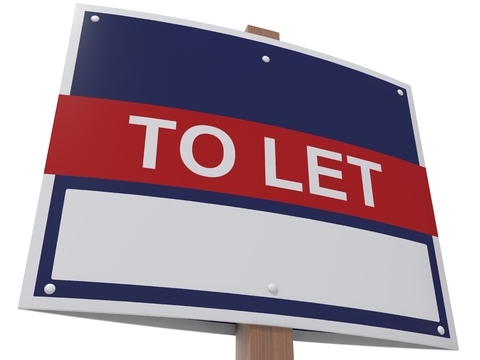 Midleton’s ‘lost’ Tudor landlord. John Hovenden was the eldest son of Giles Hovenden who was granted the lease of the lands of Corabbey in June 1551. A quiet man, barely mentioned in the state papers, John may have succeeded his father as the leaseholder of Corabbey until 1572. The name is spelled Hoveden in this image – it was the original name in medieval times with the first ‘n’ sneaking in by Tudor times. ‘Lease to Gyles Hovynden ; of the site of the abbey of Chore alias Core, the lands of Chore and Kyl-(blank)-agh and Ballygybbyn, and the rectories of Chore, Downebowlogg, Kylrovayn, Kyl(collehy), St Katherine by Cork and Mogellygg. To hold for 21 years. Rent £26 5s.’ Fiant 6806 Elizabeth I (or 1147a Edward VI). One of the difficulties facing Irish historians is the lack, or apparent lack, of documentation. We’ve already noted that when the Cistercian abbey of Mainistir na Corann/Corabbey was dissolved in 1543, the monastic buildings and the old monastic estate was granted to the former abbot, Philip FitzDavid Barry, on a twenty-one year lease with a rent payable to the crown. If anything, this was a kindness since the abbey had been Philip’s home since the early sixteenth century. But that lease would have run to 1565 – about seven years into the reign of Elizabeth I. What happened to the land between the end of the lease in 1565 and 1573 when the property was granted to John FitzEdmund FitzGerald of Cloyne and Cahermone on a new lease? Who held the land until FitzGerald took over? Nobody has bothered to explain this gap. But now the mystery is solved – thanks to a document that was incorrectly filed by an Elizabethan civil servant about 1572! The above text is from a fiant recording the grant of the site and former monastic estate of Corabby/Mainistir na Corann together with the tithes of certain rectories to Giles Hovenden during the short reign of King Edward VI. A fiant was a warrant issued by the government to the Court of Chancery in Ireland. This court was the authority that issued letters patent under the Great Seal of Ireland. Basically a fiant takes its title from the Latin phrase at the start of the order: Fiant litterae patente – ‘let letters patent be made….’ The letter patent (or published letter) was the key legal document that certified a government grant or order. 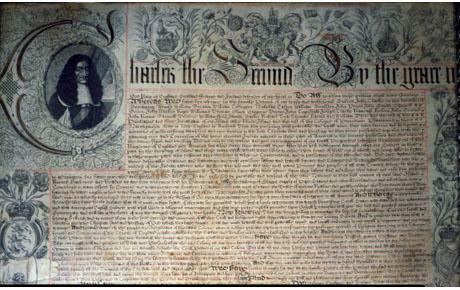 It was registered in the rolls of the Court of Chancery, thus guaranteeing the patent extra legal effect. 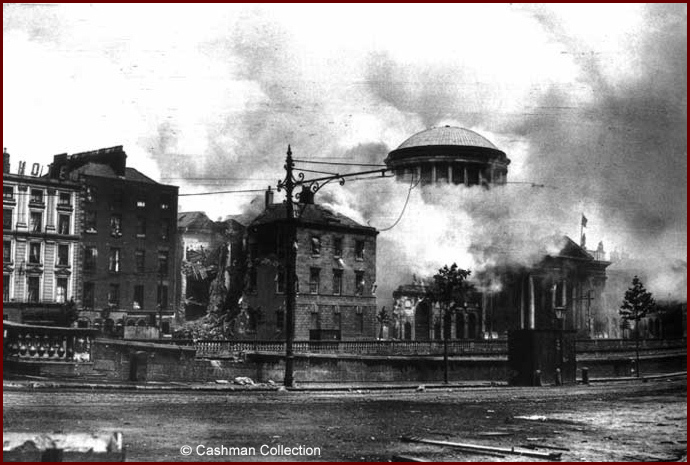 The Four Courts Fire of 1922 destroyed all the fiants issued throughout Irish history, but we are fortunate that they had been calendared and published in the 1880s and republished in the 1990s. So these important records survive in a somewhat abbreviated fashion. Since the exact date and year of the issue of this particular fiant is lost from the copy of the record, we must look to the term of office of Sir James Croft, the Lord Deputy of Ireland who signed it. Croft was Lord Deputy from 21 April 1551 to April 1552, and because the fiant was issued in the month of June, we can firmly date the fiant and the grant of the leasehold of Corabbey to June 1551. 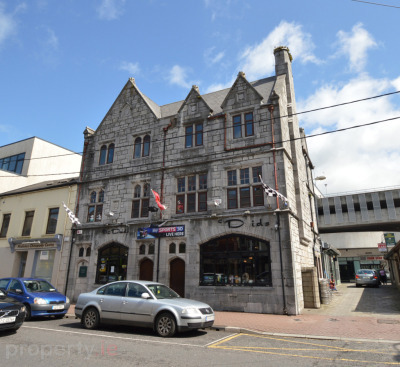 What is interesting is that this grant of the leasehold to Giles Hovenden is simply unknown in Midleton. The reason is that this fiant was misfiled during the reign of Elizabeth I – some things NEVER change in the Irish civil service! The grant itself is quite a surprise because the previous leaseholder was Philip FitzDavid Barry the ‘former’ abbot of Corabby, who was a local man, almost certainly born in Castleredmond Castle. Abbot Philip had been granted a twenty-one year lease in 1544, so it should have run until 1565. However, since he was almost certainly the abbot Philip of Chore who was granted the vicarage of Inchinabecky and the rectory of Shandon in 1504, it is likely that he was already elderly and died some time between 1546 and 1551. It is very likely that, following Philip Barry’s death, the lease of Corabbey came back into the hands of the Crown due to the accumulated arrears of rents. So the land was let out again for another twenty-one year period to Giles Hovenden. Hugh O’Neill, 2nd Earl of Tyrone, was made a ward of Giles Hovenden by the Crown when his father was murdered. So who exactly was Giles Hovenden? He was an Englishman who came to Ireland during the reign of Henry VIII to serve in the king’s army. It seems that he came from Ulcomb near Maidstone in Kent. 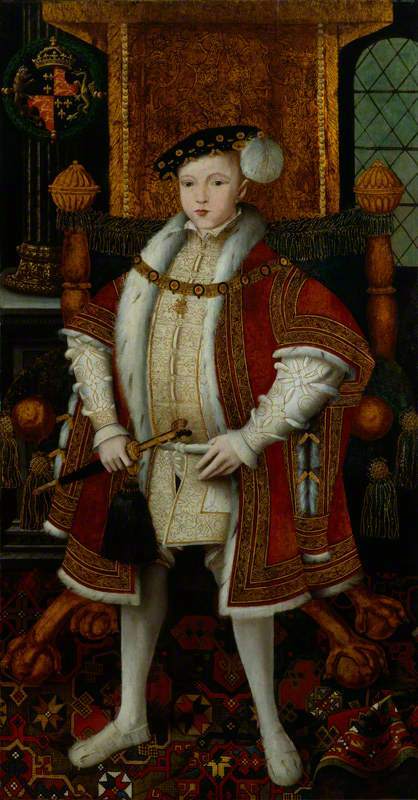 It should be noted that the Hovendens appear to have been neighbours of the St Leger family – Sir Anthony St Leger of Ulcomb and Leeds Castle was the Lord Deputy of Ireland for an astonishing three separate terms – 1540-1548, 1550-1551 and 1553-1556. A captain of light horse in 1532, Giles Hovenden was given some interesting commissions to execute. He was one of the Commissioners for the government of Connaught in 1544, In conjunction with James FitzJohn FitzGerald, 14th Earl of Desmond, on 28 July 1551, Hovenden was made a commissioner for the government of the counties of Cork, Limerick and Kerry. In December 1551, the earl asked Hovenden to arrest his own son and heir, Gerald FitzJames FitzGerald (later the 15th Earl), and his own brother Maurice FitzJohn FitzGerald, because they had raided McCarthy lands in Cork! Clearly Hovenden was able to get on very well with the ‘Old English’ and the Gaelic Irish. He seems to have had business dealings with Conn O’Neill, 1st Earl of Tyrone, concerning the Earl’s lands in Ballygriffin in County Dublin. It seems likely that Giles Hovenden retired from government service in 1556 when St Leger left office for the last time. On 29 November 1549 Giles Hovenden was granted the lands of Killeban in Leix, later Queen’s County, now County Laois. He married Elizabeth, the daughter of Sir Walter Cheevers and had five sons and a daughter John, Peter, (or Piers), Richard, Walter, Henry and Joanna. 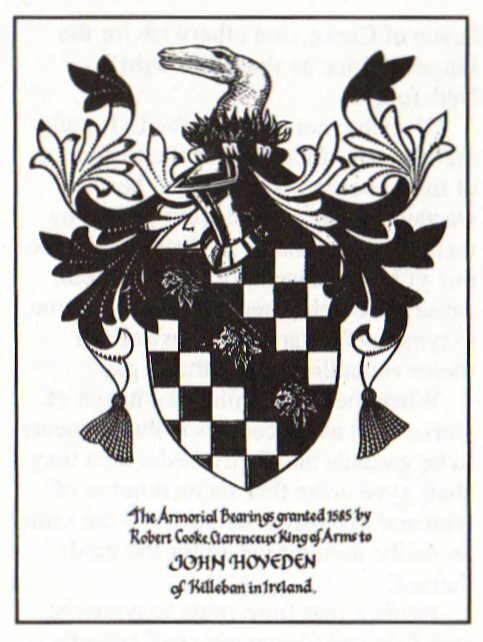 The eldest son, John Hovenden of Killeban, was granted the arms shown at the head of this post in 1585. There is very little in the official records about John Hovenden – one commentator suggests that he kept his head down and attempted to lead a quiet life, quite an achievement in a turbulent age. 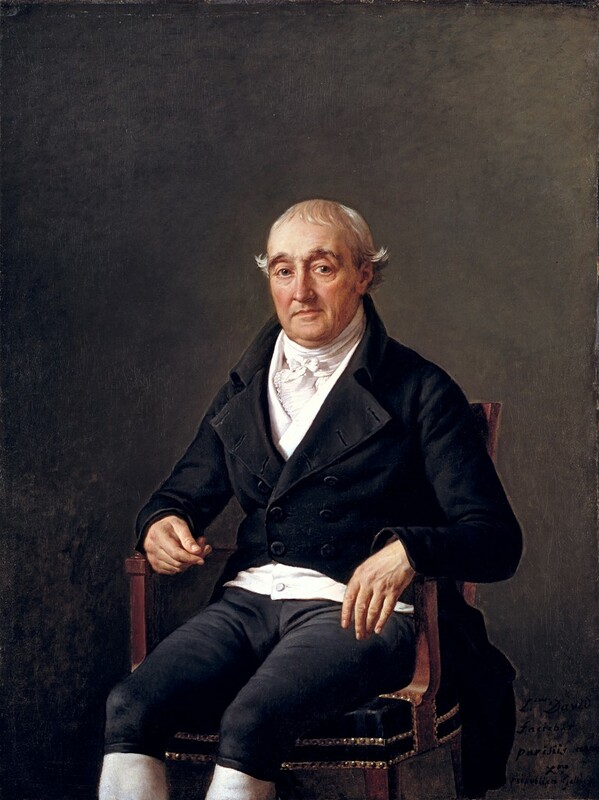 It is perfectly possible that this man inherited his father’s leasehold of Corabbey, for the second son, Peter, had property and income from King’s County (Offaly), Queen’s County (Laois), Kildare, Meath, Down, Tipperary, Louth and Roscommon. The fourth son, Walter, after military service in the Netherlands, was killed when the O’Mores attacked the fort and town of Maryborough (now Portlaoise) in 1579. The third and fifth sons, Richard and Henry,became the foster-brothers of Hugh O’Neill, who later became the 2nd Earl of Tyrone! They actually ‘went native’ as both served O’Neill as military officers during his revolt against Queen Elizabeth I during the Nine Years War. Henry actually became O’Neill’s secretary and confidential advisor and, perhaps, his chief of intelligence. 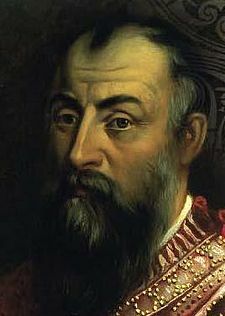 henry followed O’Neill into exile during the Flight of the Earls in 1607. How did Hugh O’Neill end up as a foster-brother to Giles Hovenden’s sons? 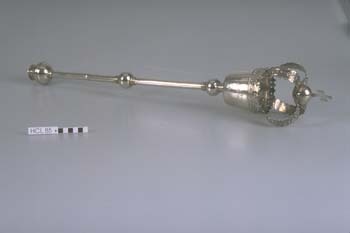 The Earldom of Tyrone had been awarded to Conn O’Neill by Henry VIII when Conn submitted to the Crown as part of the Surrender and Regrant policy. Conn planned to pass on the earldom to his illegitimate son, Matthew, Baron of Dungannon Matthew was the father of Brian and Hugh O’Neill. However, in typical Irish fashion, Conn’s legitimate son, Shane, objected and in 1558, Shane’s men killed Matthew. A year later Conn, Earl of Tyrone, died and he should have been succeeded by his grandson Brian, the new Baron of Dungannon, and the government’s preferred choice. But Shane O’Neill was too strong and he claimed the title Earl of Tyrone for himself. Brian was assassinated in 1562 by a cousin, probably on Shane O’Neill’s orders. This left Brian’s younger brother, Hugh, a minor, as the new Baron of Dungannon and the government’s preferred candidate as Earl of Tyrone. However the young Hugh O’Neill was very vulnerable to assassination. The government placed him in the care of Giles Hovenden as a Ward of the Crown. Hugh grew up with Richard and Henry Hovenden. There is some speculation that Hugh may have been fostered in the Gaelic Irish fashion to Giles Hovenden when he was still a boy. This might explain why English officials considered the Hovenden brothers to be O’Neill’s foster-brothers. This close relationship was the basis of the friendship that led to Richard and Henry ‘going native’ during the 1590s when Hugh O’Neill finally gained control of his earldom of Tyrone. 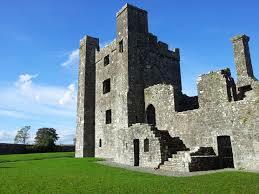 Bective Abbey in County Meath was converted into a house after it was suppressed by Henry VIII. Did Giles Hovenden do the same to Corabbey/Mainistir na Corann? So there you have it – a missing link in the history of Midleton, or, more correctly, Corabbey/Mainistir na Corann. 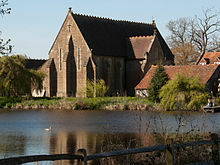 The leasehold of the old Cistercian monastery and its estate was granted to Giles Hovenden, formerly of Kent, in June 1551. He was Midleton’s ‘missing Tudor-era landlord’.The irony is that Hovenden’s ward or foster-son, Hugh O’Neill, helped to suppress the Second Desmond Rebellion (1579-1583). This led to the final defeat and death of the same Gerald FitzJames FitzGerald, 15th Earl of Desmond, who had been arrested with his uncle Maurice by Giles Hovenden in December 1551! Later Hugh O’Neill would conduct a devastating raid on Barrymore and Imokilly, including the former Hovenden leasehold of Corabbey, during his sweep into Munster in 1600 during the Nine Years’ War (1594-1603). Only loyal subjects of the Crown need apply in… Tudor Ireland! Why do I say that the fiant of June 1551 was misfiled? If the Hovenden lease of Corabbey did indeed run to 1572, then it was necessary for the government to examine the details of that lease when it lapsed that year to ensure that the land was indeed available to let without encumbrances to a new tenant. 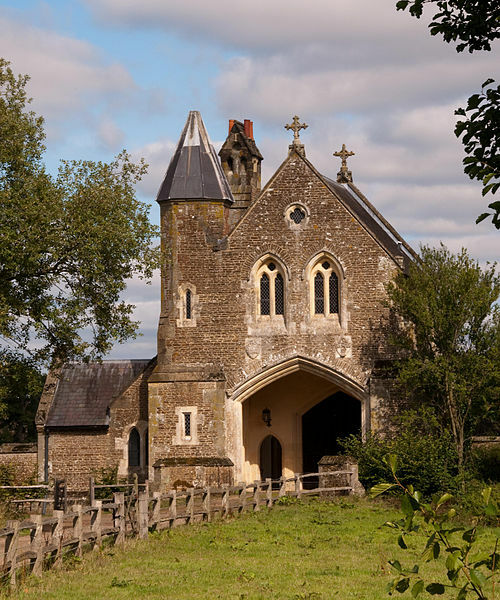 An inspection of the fiant showed that a new lease on the former monastic estate could indeed be granted to someone else. 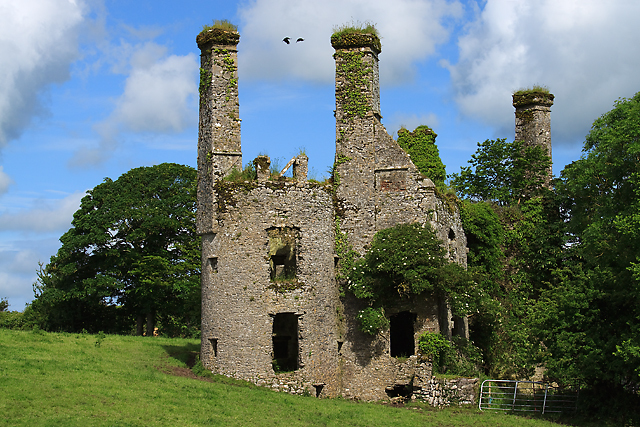 In 1573 the old monastery and the former monastic estate were granted on a twenty-one year lease to John FitzEdmund FitzGerald, who had bought neighbouring Cahermone Castle and its estate from impoverished relatives in 1571. FitzGerald now had a nice little estate that ran all the way to the Owencurra River. And the government clerk omitted to replace the original fiant of 1551 with the documents relating to the reign of King Edward VI! No wonder the historians have missed it, despite the fact that it was hiding in plain sight for over a century! Now I wonder if any papers have survived about the Hovendens in Corabbey…..
Cromwell’s spy? 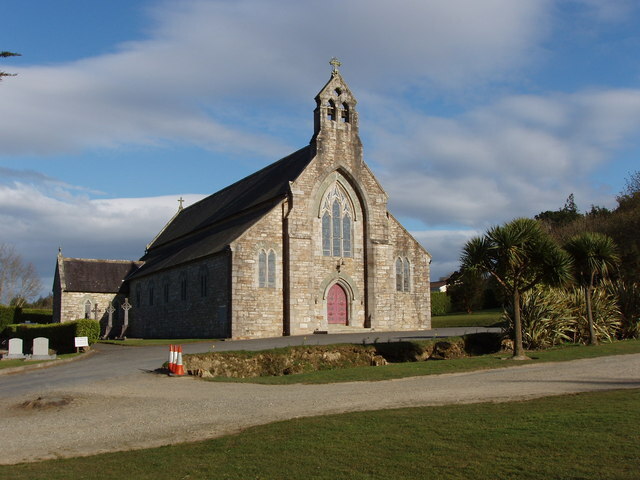 St John Brodrick and the origins of the Brodrick estates in South East Cork. The ruins of Ballyannan Castle from the south. Usually attributed to the Hodnetts, but actually held by a Mr E Gould in 1642, Ballyannan is an early 17th century fortified house with some later modifications. This house became the seat of St John Brodrick from 1653. In appearance, it must originally have resembled a small French chateau, with plastered, presumably whitewashed,walls and pepperpot roofs on the three turrets. Thomas Carte: A History of the Life of James Duke of Ormonde. 1735. 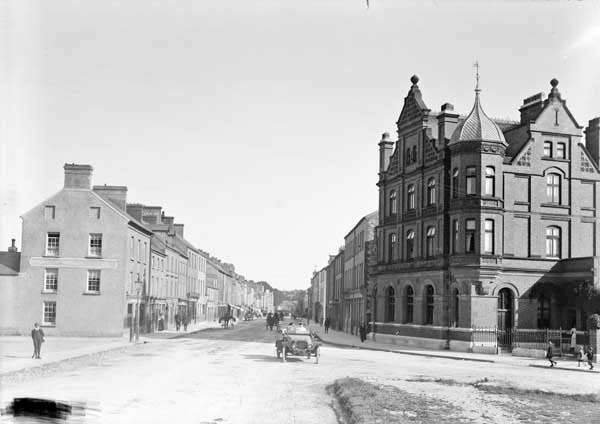 From at least 1653 to 1964 the ground landlords in Midleton were the Brodrick family. But one question needs to be addressed. How exactly did the Brodricks get their land in the area? The quotation above refers to, among others, St John Brodrick – the first of the Brodricks of Wandsworth to acquire an estate in Ireland. The story of St John Brodrick and his settlement in Ireland during the regime of Oliver Cromwell is not yet properly written, and, unfortunately, it contains some odd assertions. I can’t claim that this post will clear everything up, but I hope to kill off some of the nonsense that is still floating around even in some very respectable history books. Thomas Carte’s reference to Brodrick being a Cromwellian spy was written by a staunch supporter of the Stuarts in 1735 and, while it may have a grain of truth, it perhaps does not tell the whole story behind Brodrick’s coming to Ireland. 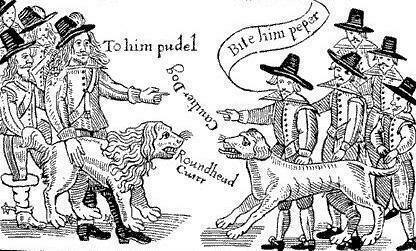 A woodcut describing the enmity between the Royalists (Cavaliers) and Parliamentarians (Roundheads) during the English Civil War – but it could equally well express the sentiments of the Catholics vs. Protestants and Scots Presbyterians vs. English Episcopalians. The outbreak in 1642 of the Wars of the Three Kingdoms (the Irish Catholic Uprising, the English Civil War and the Covenanters’ War in Scotland), was to set the scene for the arrival of the Brodricks in south-east Cork. St John Brodrick was born in 1627 as the younger son of Sir Thomas Brodrick of Wandsworth. 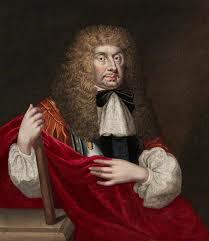 St John’s older brother, Alan, fought for King Charles I during the English Civil War and later served as secretary to the Sealed Knot society. This latter was a secret Royalist organisation in England aiming to restore King Charles II when Cromwell was Lord Protector. There are some assertions that St John Brodrick came to Ireland in 1642 to acquire estates here. But as a fifteen year old boy it seems highly unlikely that he’d be allowed jump from the English frying-pan into the Irish fire. There’s certainly no evidence that Brodrick inherited land in Ireland in 1642 – so he must have come by his estates another way. 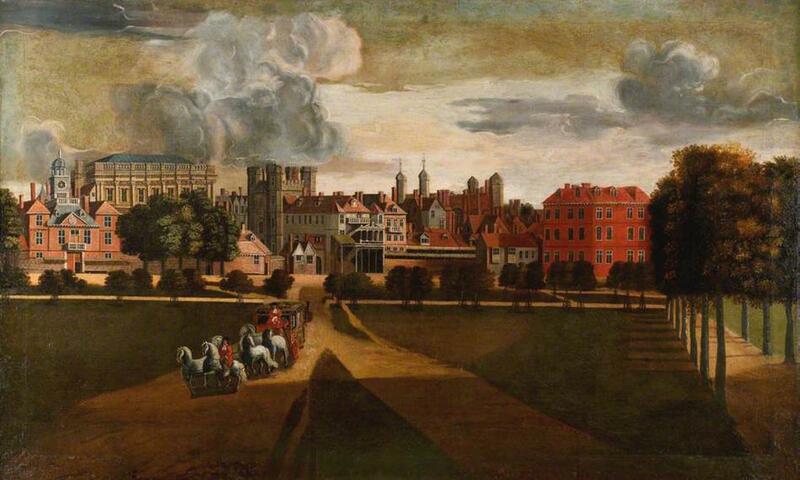 What seems to have happened is that after his father’s death in 1643, St John Brodrick was groomed to fight with Parliament as a way of hedging the family’s bets on the outcome of the Civil War. 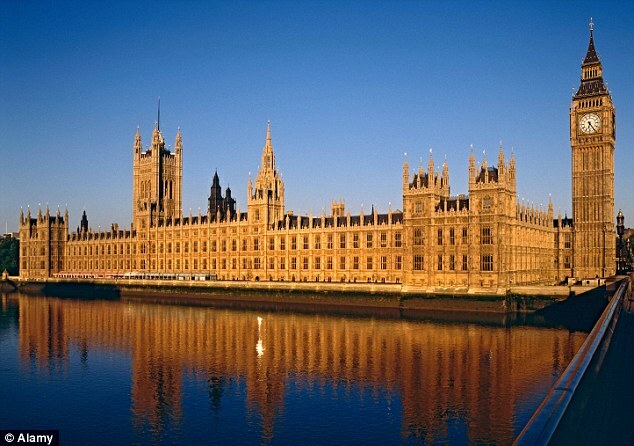 He certainly seems to have been in the service of the Parliamentary cause by 1649. In that year he was sent to Ireland as an assistant to Lord Broghill who had just joined the Parliamentary side. And this connection to Roger Boyle, Lord Broghill, proved instrumental in Brodrick’s land acquisitions in Ireland. The man the Irish love to hate: Oliver Cromwell, Lord Protector of Great Britain and Ireland. He still has a bad press in Ireland and his regime settled a lot of officers on confiscated Irish lands, including St John Brodrick. To understand what happened it is necessary to examine the complex four-sided civil war in Ireland from 1642 to 1652. The Confederate Catholics made up the largest group, rebelling against the Crown in defence of their landholdings and their right to worship as they wished. Their best leader was the Ulsterman Owen Roe O’Neill, the victor of Benburb. Unfortunately the Confederates were divided into Gaelic Irish (often very hardline) and the Old English (more Royalist in sympathy). Benburb introduces the second group in Ireland – the Presbyterian Scots. Some were settlers, mostly in Ulster where they obtained land under the Ulster Plantation. Others came over in Munroe’s army ….. only to be slaughtered at Benburb in 1646. Then there was the Royalist force, based mostly in Dublin and commanded by James Butler, Marquis of Ormond as he then was, and Lord Lieutenant of Ireland. 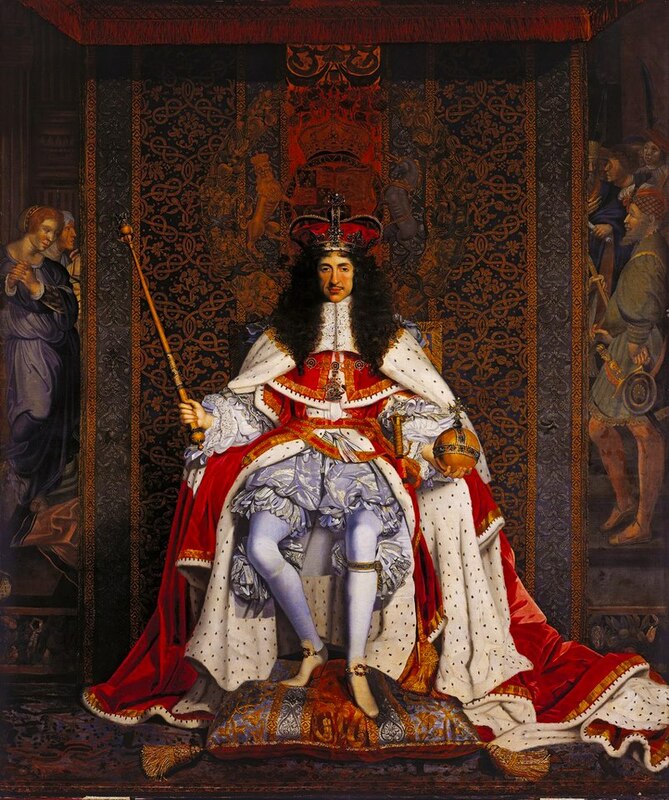 This is the man who is the subject of Thomas Carte’s book, being promoted to a dukedom in 1660. The fourth group in Ireland were the Protestants of Munster. Their military leaders were David Barry, 1st Earl of Barrymore, who died of wounds shortly after the victory of Liscarroll in 1642, Morrough O’Brien, Lord Inchiquin who led the Munster Protestant Army for most of the period, and Roger Boyle, Lord Broghill, a younger son of Richard Boyle, the same 1st Earl of Cork who had obtained a license for a market at Corabbey in 1624. The Munster Protestant victory at Liscarroll secured Cork and the area around Cork Harbour, as well as Youghal, for the Protestant cause, and, ultimately, for the Parliamentary cause. Initially the Munster Protestant leaders’ loyalties were still somewhat vaguely aligned in favour of the king, although they treated James Butler, Marquis of Ormond, and Lord Lieutenant of Ireland, with great suspicion. 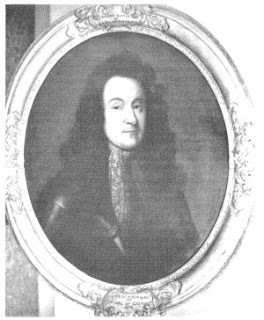 Roger Boyle, Lord Broghill, Cromwellian commissioner for forfeited estates in the County of Cork. Created 1st Earl of Orrery in 1660, Broghill helped secure Cork for Cromwell and, in 1660, he secured Ireland for King Charles II . He founded Charleville in North Cork, where he built a huge mansion, which he abandoned by the mid-1670s, when he moved his seat to Castlemartyr a few miles from Midleton. A good friend of St John Brodrick, his neighbour in Midleton, Broghill was a younger son of Richard Boyle, Earl of Cork and an older brother of Robert Boyle, the scientist. His descendants resised at Castlemartyr until the early 20th century. During the period up to 1648, a strong rivalry existed between Inchiquin and Broghill. It didn’t develop into an open dispute – they managed to get along sufficiently to keep their hold on Cork secure. But the Parliamentary victory in the English Civil War, and execution of King Charles I in 1649, threw everything into confusion. Inchiquin was certainly disgusted by the death of the King. Broghill’s reaction, however, was more problematic. 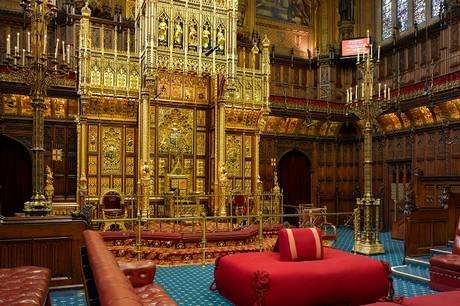 He later claimed that he was upset by the execution of the king, however, it does seem that his sympathies were very close to the Parliamentary side. One story put about after the Restoration of King Charles II (1660) is that Broghill was on his way to the Continent to consult Charles II when he was accosted by Oliver Cromwell in London and given a choice that was difficult to refuse – join fully and openly with Parliament or else get to know the Tower of London very intimately. 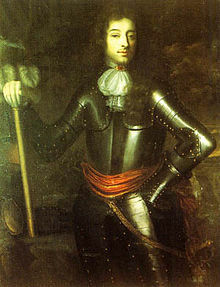 Broghill was in Somerset when he eventually decided to take up Cromwell’s offer of a commission in the Parliamentary army. He apparently had a small part to play in the bloody sack of Wexford in 1649 before being sent by sea to Cork to secure that harbour and city for Cromwell. On Broghill’s arrival in Cork, Lord Inchiquin packed his bags and sailed off to Spain – where he became a Catholic! This left Broghill in total command of Cork. Cromwell spent the winter of 1649/50 in Youghal, a town controlled by the Boyles, in acknowledgement of Broghill’s importance in securing the area, and, presumably to keep Broghill firmly within the Parliamentary camp. Murrough of the Burnings. Murrough O’Brien, Lord Inchiquin was the leader of the Protestant forces in Munster during the 1640s until ousted by Broghill in 1649. But what of St John Brodrick? We know nothing, as yet, of his military career in England, which probably didn’t start until about 1645/46. One source suggests that Brodrick was appointed Provost Marshal to Broghill’s force in Cork. A Provost Marshal was an officer in charge of enforcing military discipline. But they often had another role – the gathering of intelligence. Basically, if his role as Provost Marshal is true, then St John Brodrick was indeed a spy for Cromwell, but not a secret agent. It is highly possible that Brodrick may have been given orders to keep Broghill on the straight and narrow path of Parliamentary loyalty. As an intelligence officer, it is also possible that Brodrick was instrumental in securing the transfer of loyalty among the Protestant troops in Cork from the king to Parliament by way of a mutiny. What is clear is that Brodrick and Broghill became great and firm friends. They appear to have shared a common religious outlook, both being ‘low church’ men. 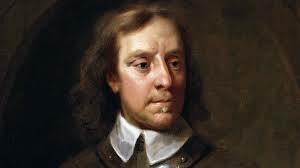 It seems likely that Brodrick got to know Oliver Cromwell during the latter’s sojourn in Youghal. With the defeat of all the opposing armies in Ireland, the Cromwellian regime set about securing the country……and paying off its debts. The Adventurers, the people who had loaned funds to Parliament, had to be repaid (with interest), and the soldiers in the Parliamentary army had to be paid. The decade of civil wars meant that there was a serious shortage of funds, so Parliament came up with a better idea – pay everyone in land. The lands of Irish Catholics and Royalists would be confiscated and distributed to the Adventurers and old soldiers as payment.The bonus was that if these lands could be settled by good English protestants then Ireland would be secured against future Catholic rebellions. Part of the Down Survey map of Barrymore showing the parishes.The former monastic estate of Manisitir na Corann/Corabbey is shown as a yellow area marked ‘Unforfeited Land.’ Parts of Mogeesha parish, as well as Templenacarriga, Ballyspillane, Dungourney, and Clonmel parish on Great Island as well as areas were also given to St John Brodrick in the 1653 settlement. Mainistir na Corann was considered to be part of Barrymore since the dissolution because its last abbot was a Barry. 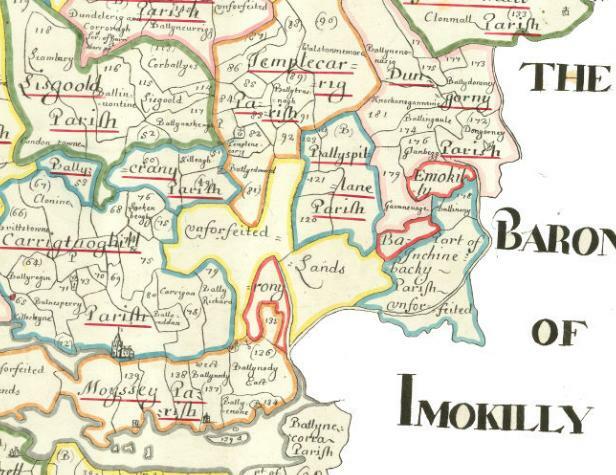 During the 1700s, the parish was transferred back into Imokilly. This copy of the map is preserved in the Bibliotheque National in Paris. Source: downsurvey.tcd.ie. One of the commissioners appointed to supervise the distribution of lands in County Cork was Roger Boyle, Lord Broghill. And he made sure that his good friend, St John Brodrick, got some choice parcels of land, often right next to his own estates. One of those parcels was Mainistir na Corann/Corabbey now called Midleton. This was the old estate of the Cistercians of Chore, which had remained Crown property since the dissolution in 1543 and had been leased to Roger Boyle’s father, Richard, 1st Earl of Cork, by the 1620s. Brodrick also got estates in Orrery barony in North Cork – also next to Broghill’s lands in the same barony. To ensure that his friend didn’t want for much, Broghill also ensured that Brodrick got lands in Mogeesha parish, Templenacarriga parish, Ballyspillane parish, Dungourney parish and non-monastic lands in Corabbey parish as well as parcels in Ballyoughtera Parish and Clonmel parish on Great Island – all confiscated from ‘Irish Papists,’ By 1653, St John Brodrick, a younger son, had obtained a considerable estate in Ireland. St John Brodrick established a deerpark from Cahermone to Park South and Park North townlands and chose Ballyannan Castle as his seat. This fortified house had previously been held by a Mr Gould, an ‘irish Papist.’ Not a bad return for a ‘spy.’ There’s still a lot of research to be done on St John Brodrick and his background and career. 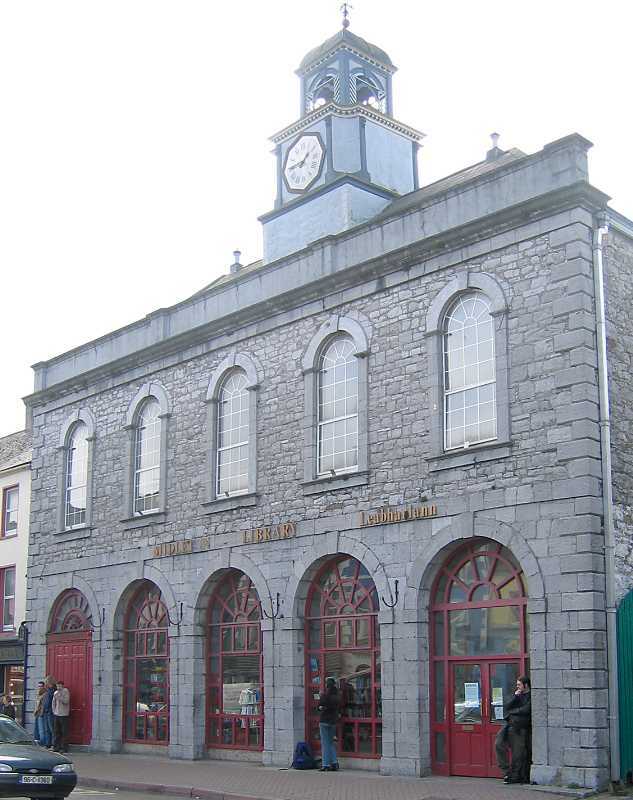 The Charter of Midleton was issued by King Charles II on 10th June 1670. But…..he got the date wrong! Seal of the Corporation of Midleton as illustrated by Samuel Lewis in the Topographical Dictionary of Ireland. You might imagine that I’d have a post up today about the Charter of Incorporation issued by King Charles II to Sir St John Brodrick incorporating his estate at Corabbey/Mainistir na Corann as a manor and corporate borough under the new name of Midleton. Except – the 10th of June is NOT actually the correct date of the anniversary! 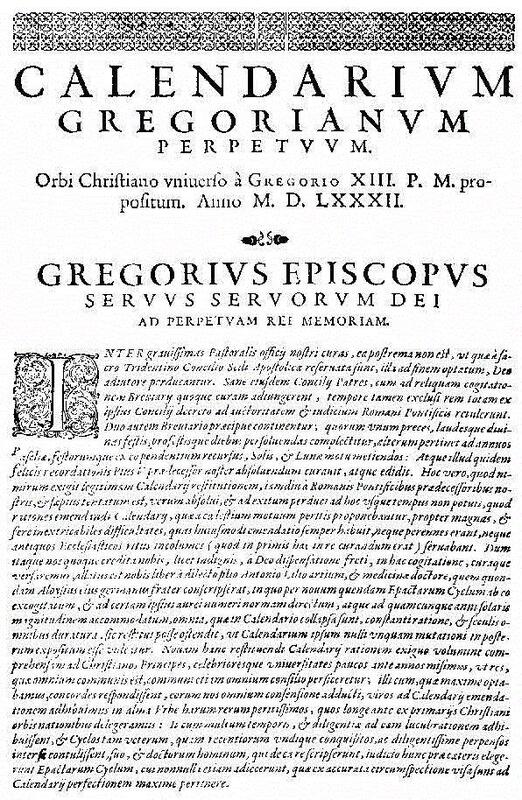 The Bull Inter gravissimas issued by Pope Gregory XIII in February 1582 to reform the calendar. You see, Charles II and his subjects were still using the Julian Calendar that was already ten days behind the seasons. Pope Gregory XIII odered that a new system of calculation for the length of the year should be adopted on 4th October 1582 should be immediately followed the next day by the date 15th October! Gregory had been persuaded by the calculations and arguments of Aloysius Lilli of Calabria that the best way to correct the misalignment of the date of Easter with the vernal equinox was to do a sudden and once off correction of the dates and to modify the system of using leap years. 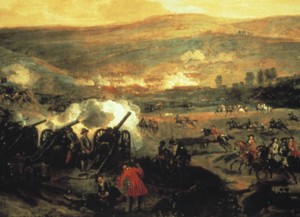 Jan Wyck’s depiction of the Battle of the Boyne – fought on 1st July 1690 (Old Style) but celebrated on 12th July (New Style). Until 1700 the Julian Calendar was ten days behind the new Gregorian Calendar. The charter of Midleton in 1670 dated using the old system. Thus 10th June is NOT the actual anniversary of the Charter – the correct date is 20th June. You can see this pattern in operation in Northern Ireland every year on 12th July, which celebrates King William of Orange’s victory at the Battle of the Boyne over James II (Charles younger brother) on 1st June 1690 (Old Style). However, Pope Gregory’s initial decree, or Bull, was only accepted at once by Italy, Spain, Portugal (and their colonies) and Poland-Lithuania. But a year or two later the new calendar had spread to other Catholic countries. Protestant and Orthodox lands rejected the reform – even if their astronomers knew that Pope Gregory was right to change the calendar. So it wasn’t until 1752 that the authorities in Britain and Ireland got over their anti-Catholicism and came into the modern world by adopting the Gregorian Calendar. By then the two calendars were eleven days apart! It must have been so frustrating for the authorities in Ireland that Irish Catholics insisted on celebrating Easter on a different day from Anglicans until 1752! So, you’ll just have to wait until the REAL anniversary to learn all about the Charter of Midleton issued on 10th June 1670! Meanwhile there are one or two other matters to consider before we get to the Charter.